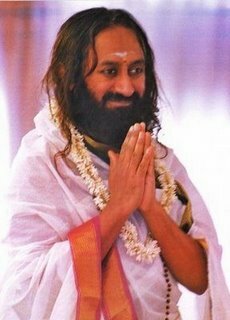 Gurudev in the Yoga Sutras, it is said that by aparigraha (the concept of non-possessiveness or non-greediness) one gets to know their past lives. Is that true? Yes. When you do not receive anything from anyone, not even their abuses, then you are most centered. See, material things are different. When people give you things, it is easy for you to not take it; to deny them. But when people abuse you, then you don’t deny them. In fact, when someone insults you, before they can even complete what they are saying, you take the insult from them. Someone has not fully abused you yet, they have just begun saying it and you have already taken it from them. That is why aparigraha is important, which means, neither take anyone's insults nor take their compliments, because a compliment can get into your head and make you arrogant, and an insult can sink into your heart and can cause you intense pain. So aparigraha is neither taking anything positive or negative that people give. If they give, you just smile at them and not harbor them in your mind. So, when you don’t worry about other’s opinions of you, that is aparigraha. You don’t take anything. And of course, not sitting and seeing, who is giving what and how much they are giving (in terms of material things) is also aparigraha. How can we attain this altered state of consciousness (enlightenment)? This is why we say, 'Do meditation'. Why do we sing? So that there is activity in the right brain. And why do we discuss knowledge and logical things? So that there is activity in the left brain as well. That is why we have kept both, logic and music in satsang, so that there is a balance between both sides of the brain. There is a complete science on this. Now, if someone sitting somewhere says, 'It is not possible', then what can you say to them? You can only say, 'Well, that is your experience'. What is important is that one should be open to experience. But if someone says, ‘This is it, I know everything’, then you can’t say anything to them. If people are fanatic and they think, 'This is it, I know everything', then it is not correct. That is why he spoke of sayatva: perhaps it could be some other way also. All is possible.That is a sign of a mature intellect, otherwise it is an immature intellect. One can use jargons and write lots of books. Some of these pseudo-intellectual people who claim to be enlightened, they are a big problem for the world. They call themselves as Gurus and all that, but they have big egos. They know the answer and they criticize everybody. Someone said, being like a child is stupidity; innocence is stupidity. These people have no understanding of stupidity and of innocence, and they criticize! They piggyback on other’s popularity; catch hold of popular people and piggyback on them. Someone who has confidence on them self will not piggyback on someone else’s popularity. They will just do what they know, and what they want to do. So, there is no need to comment on what others are saying. The main thing is that everybody has a right to exhibit their knowledge or their ignorance. This is my contention. Everyone has their right to exhibit not only knowledge, they have the right to exhibit their ignorance also. 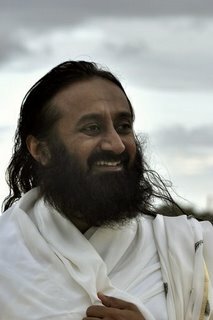 Gurudev, it is said that whatever had to be said has already been said, but the point is, have people heard it? Is this why so many enlightened masters have to come again and again. How to make sure this time people listen. A farmer knows the answer to this question very well. He just puts the seed and whichever sprouts, sprouts, and whichever doesn’t, it doesn’t! Usually most of the seeds sprout if it has been ploughed properly. And if the farmer has sown the seed at the right time, it does grow. That is what we should all do. Don’t worry about how many will reach the goal and how many will not. You do your job. A musician simply sings, he doesn’t see how many people are listening. If someone is playing the flute or the sitar, there is no guarantee that everybody sitting in the audience are keenly listening to the music. Some may even doze off while the music is playing. That is their prerogative. Many times, someone says something unpleasant to me, but at that time I do not know what to reply back. Later on, I keep on thinking about it again and again for a long time. I think, maybe I should have said this. That is where the knowledge helps. I know it goes on eating your head for a long time. That is when you should say, ‘Everything is nothing. All this will disappear. All these people are nothing, and they are all going to disappear one day’. See, the brain keeps giving some opinion here and there, and this tongue which has no bone goes on blabbering. What is the big thing? Those sounds which came from their mouth and reached our ears, need not rattle our mind. See it scientifically. That’s why both gyana (knowledge) and vigyana (science) are important. From both angles if you see, nothing really matters. Knowing this brings you that inner strength to move on with a smile. 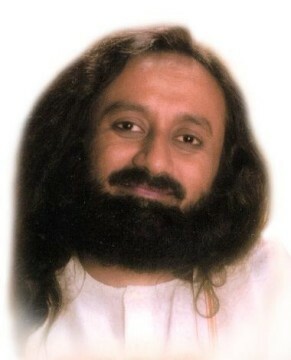 Gurudev, if someone is continuously speaking badly, then what should one do? If someone is doing something continuously, then that is their nature. Can you say that every day the dog is barking? It is a dog only who can bark! You can’t expect a dog to say, 'Meow'. Same way, you should understand that this is their nature. If they do it continuously then you should be more relaxed! If someone does it once in a while, then you should be concerned, ‘What has happened? Has this person eaten something wrong or what?' We can think about it. When someone is doing it continuously, it brings freedom to you. That is how they are. Why do you even have to worry about it? Just move on. At least the dog is in your house, and not in the neighbor's house! The dog in your home, you can at least feed him something and make him shut up. But if the neighbor's dog is crying all night and barking all day, you can’t do anything with that! So you simply have to accept the situation as it is. Keep telling your mind this and keep moving. Buy nice ear plugs and put it in your ears, or think this dog is singing a lullaby and go to sleep. Stop Complaining And Start Living! Your Talents Are For Others!